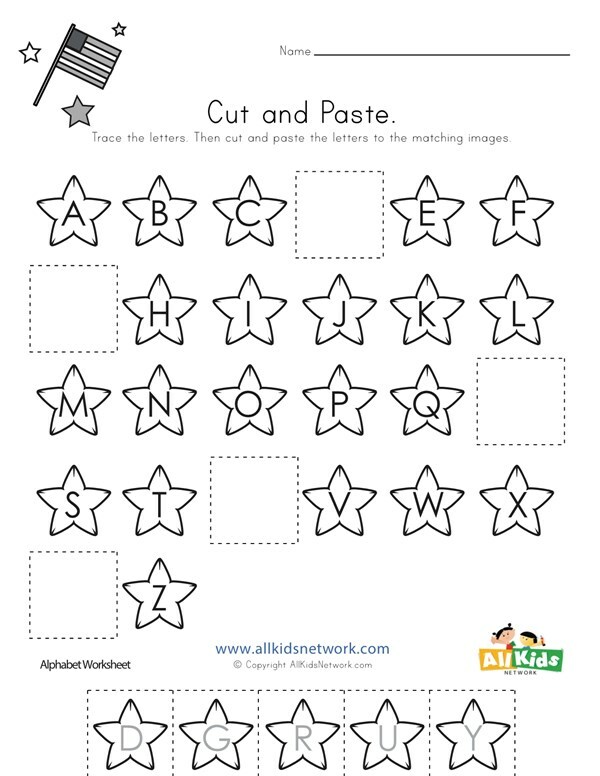 Help kids practice ABC order with this patriotic themed worksheet. Each row has stars with letters in them, but one star is missing. 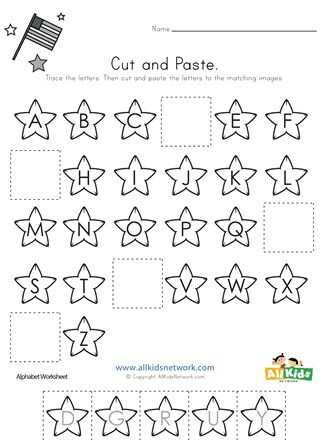 Cut and paste the star from the bottom of the worksheet with the correct letter in the blank spots.